"North Pole" arborvitae is the brand name of a shrub technically known as Thuja occidentalis 'Art Boe.' That cultivar name comes from the plant developer responsible for its existence, Arthur Boe. A coniferous needled evergreen, North Pole arborvitae grows in a columnar shape, achieving a mature height of 10 to 15 feet (with a spread only about half of that). Technically a shrub, many people refer to it casually as a "tree" (since it's tall and slim). The dark green foliage is dense, making it effective in living privacy fences, whether loosely planted amongst other shrubs or installed as hedge plants. The shrub is suited to growing zones 3 through 7. Grow it in full to partial sun and in a well-drained but adequately-watered soil. In hot climates, it will profit from a bit of shade. North Pole arborvitae tolerates pollution, suggesting it could be a good street tree, as long as the area isn't especially prone to high winds. A further argument for this use is its resistance to winter burn, a problem that plagues arborvitae, generally speaking. It is all too common to encounter an arborvitae suffering browning in its leaves due to harsh winter conditions. North Pole arborvitae is considered a "needled" evergreen, as opposed to a "broadleaf" (or "broad-leaved") evergreen. If pine needles, for example, come to mind when you hear "needled," you may be taken aback by arborvitae's leaves. The leaves are scaly and are grouped in flattened sprays. They're not pointy and don't resemble pins, making "needles" something of a misnomer. 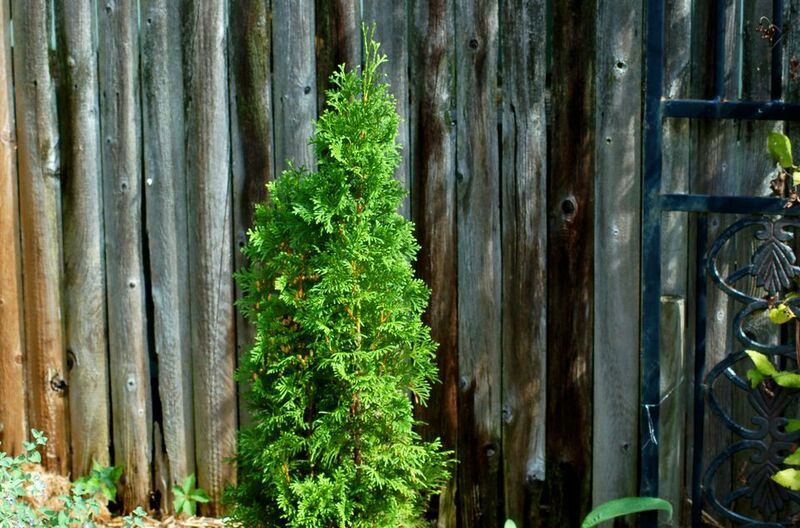 People who know that "arborvitae" is a Latin word sometimes mistake it for the shrub's botanical name, but it is actually one of the plant's common names, Thuja being the correct term for the genus. Another common name is "white cedar," even though it's not a true cedar. "Arborvitae" translates as "tree of life," a reference to the fact that Jacques Cartier's men used it for medicinal purposes. The French were suffering from scurvy on their explorations of the Saint Lawrence River area (16th century) and learned from the native population that the needles of Thuja occidentalis could be boiled to make a scurvy-fighting (and life-saving) drink, thanks to their Vitamin-C content.